Situated in Clinton, this hotel is 5.9 mi (9.5 km) from Musgrove Mill State Historic Site and within 12 mi (20 km) of Laurens Speedway and Laurens County Courthouse. Laurens City Amphitheatre is 10.8 mi (17.4 km) away. 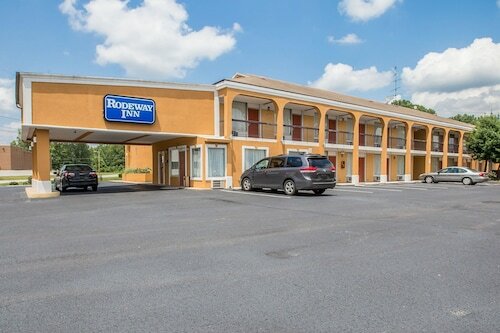 Situated in Clinton, this motel is 6 mi (9.6 km) from Musgrove Mill State Historic Site and within 12 mi (20 km) of Laurens Speedway and Laurens County Courthouse. Laurens City Amphitheatre is 10.7 mi (17.3 km) away. 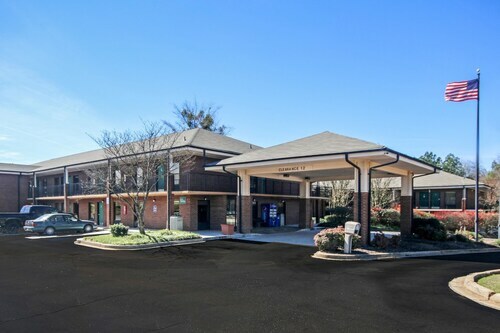 Situated in the business district, this hotel is within 12 mi (20 km) of Musgrove Mill State Historic Site, Laurens Speedway, and Laurens County Courthouse. Laurens City Amphitheatre is 12.1 mi (19.5 km) away. Situated in Clinton, this motel is within 12 mi (20 km) of Musgrove Mill State Historic Site, Laurens Speedway, and Laurens County Courthouse. Laurens City Amphitheatre is 10.9 mi (17.6 km) away. How Much is a Hotel Room in Clinton? Hotels in Clinton start at $53 per night. Prices and availability subject to change. Additional terms may apply. Are you intending on visiting Upstate South Carolina and looking to choose a place to sleep in the Clinton area? With 4 places to stay on Travelocity within a 6-mile (10-kilometer) sweep of Clinton, it'll be easy finding something appropriate. For the times when you are seeking a base that is within a stroll from the Clinton city center, Comfort Suites and Quality Inn Clinton will be great options. The Hampton Inn Newberry Opera House is approximately 20 miles (34 kilometers) away from central Clinton. 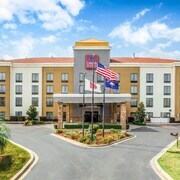 Another accommodation option is the Hampton Inn & Suites Clinton - I-26, which is situated 2 miles (3 kilometers) away. Two other hotel options worth checking out include the Quality Inn Union as well as the Days Inn Union. While on vacation, why not learn about some more of the rolling hills located in Upstate South Carolina? Choose to give yourself a few extra days in some of the other corners of Upstate South Carolina. No matter if you engage in traditional activities, for example mountain biking and hiking, or zigzag across the area to visit the sights, you'll easily book the most convenient places to base yourself close to here. Greenville - Spartanburg is 40 miles (62 kilometers) to the northwest of Clinton and is home to Falls Park on the Reedy and Bob Jones University. 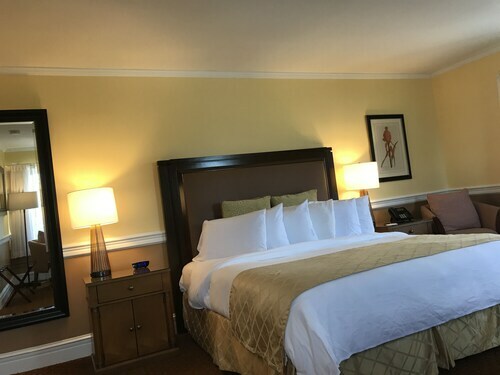 When you head to Greenville - Spartanburg, be sure to check out the Courtyard by Marriott Greenville Downtown and Hampton Inn & Suites Greenville Downtown RiverPlace. 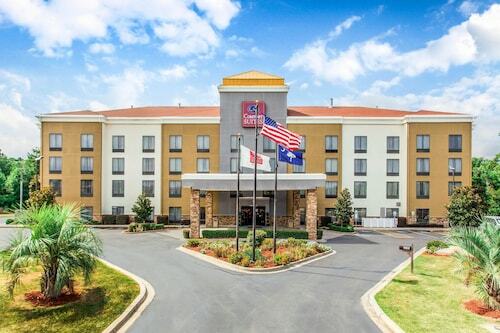 Or stay in Greenville Downtown, 40 miles (62 kilometers) to the northwest of Clinton, where you'll find the Hyatt Regency Greenville and The Westin Poinsett Greenville. The Shoeless Joe Jackson Museum and Warehouse Theatre are a couple of the more popular sites to check out when visiting Greenville Downtown. If cheering on sport is on your Clinton bucket list, don't forget to visit Colonial Life Arena, which you can find 60 miles (95 kilometers) to the southeast of Clinton. Anybody that wish to find a bed in the area around the stadium should choose between the Sheraton Columbia Downtown Hotel or the Hilton Columbia Center. Greenville-Spartanburg International Airport can be found 35 miles (54 kilometers) from Clinton's downtown precinct. 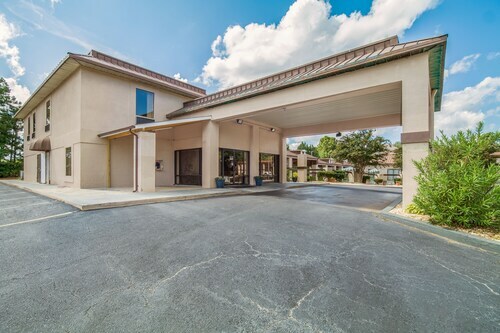 If you want to find a base nearby can reserve a convenient option in the Greenville Marriott or the Courtyard Greenville-Spartanburg by Marriott. Fantastic value. Nothing fancy, but well-done! I'd very gladly come back. Very friendly staff especially Joyce in the breakfast area. She went out of her way to help us.